Is that commentary on the factory tow hooks? Those are the Rusty's version, Mopar is NLA, but this is the parts diagram. From online reviews, it looks like the Rusty's kit has parts 4 and 8, but is missing #1, the reinforcement plate. Also part 15. 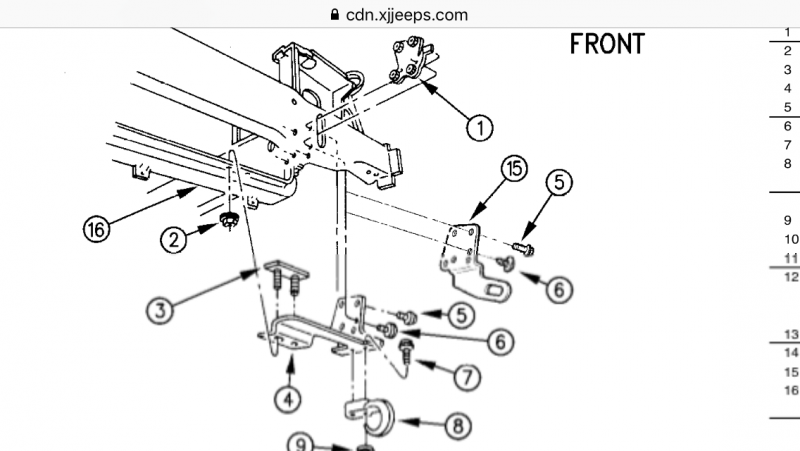 But looking at things just now, I'm starting to think part 15 is the possibly a tie-down bracket (parts manual calls it "TOE EYE, front"), and so may be present already, and then plate #1 might already be there. I haven't actually checked. It's due for an oil change soon so I'll likely wait till then. We got 18" of snow this weekend and now it's about -20°F with much lower windchill, and I've already had enough crawling under vehicles outside in the snow in the last few weeks. Yeah I'm getting soft. 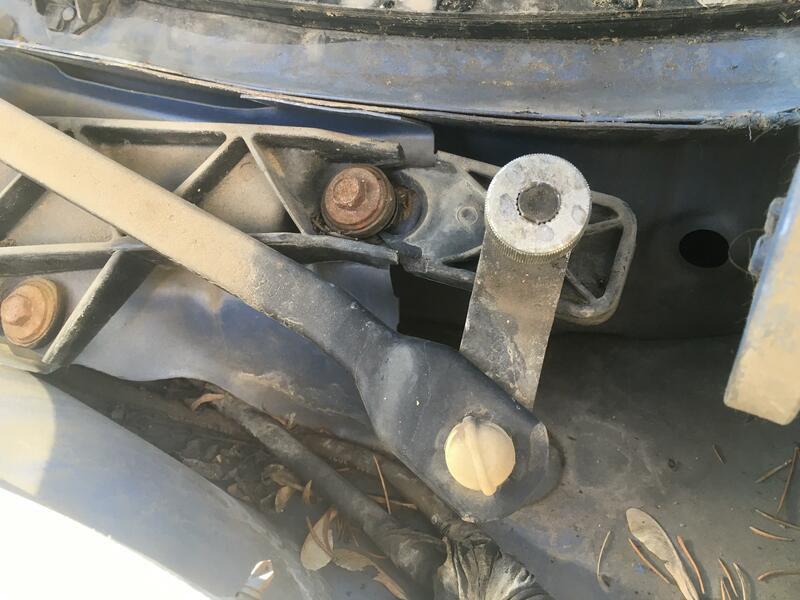 Whether plate #1 actually provides reinforcement or is just holding the nuts together, I'm uncertain, but the manual does call it "PLATE, Reinforcement Tow Hook". The primary advantage of the Kevin's Off-road design is it ties both sides together, although it does also provide some bash protection for the radiator. 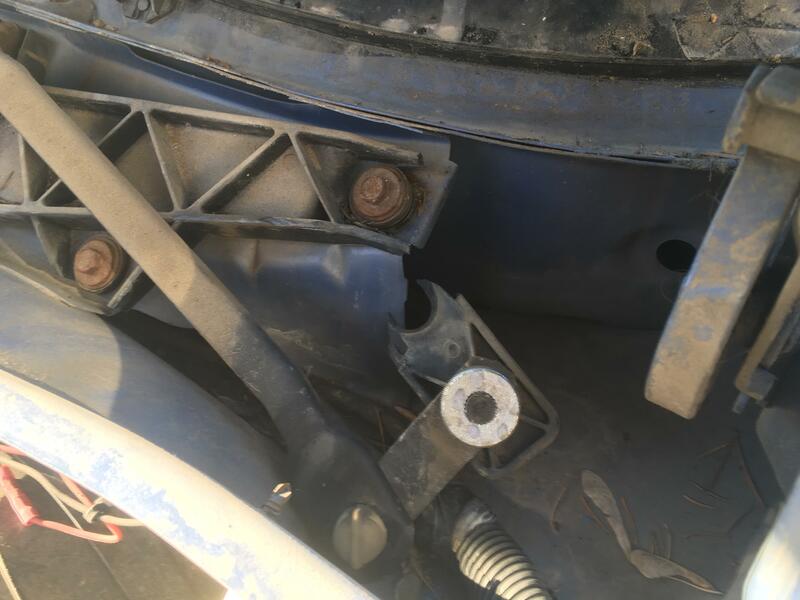 But the drawbacks include loosing the attachment points for the bottom edge of the bumper cover, and having to trim a bit to get at the shackles. I also saw someone mention loosing the angle supports for the front edge of the fenders. 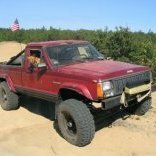 I'm not really building a wheeling rig, just a more-competent-than-average daily driver, and don't really want to go full mall crawler with it. Keeping stock appearance is semi-important to me. 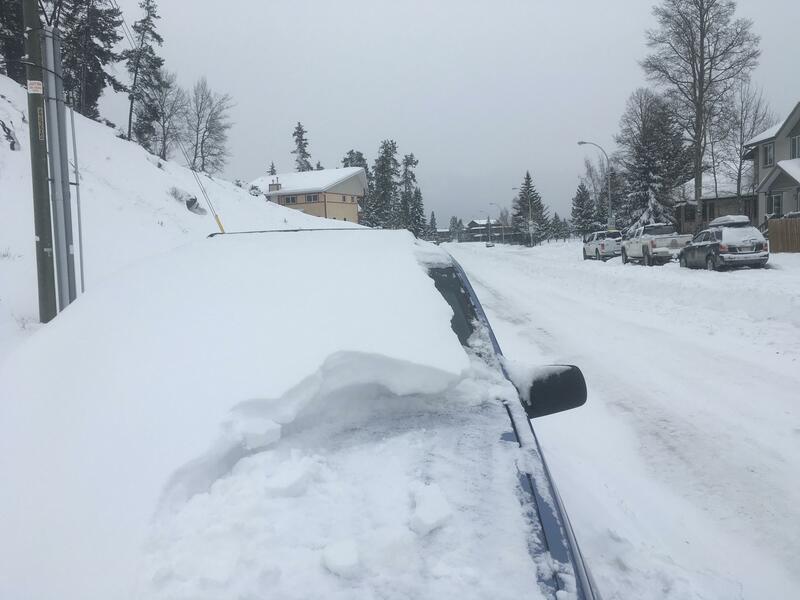 The most probable scenario of me getting stuck with it would involve shovelling out a bunch of snow before I give anything a real hard yank, and if I'm recovering anyone, the newer recall-installed trailer hitch will be doing that job. nah, the factory units should do fine. but I've seen some scary "recover points" in my life. A uniframe Jeep needs a proper "sandwich" on the sheetmetal and as many connective points as possible. I'm sure a factory setup will pop up on ebay now and again. Fired up just fine at -20°F just on its own. But the street's getting reall narrow so it's moved off the street now and out of the way of the plows, to a place I can plug it in for the night. -25°F low (so not so bad) and -45°F windchills expected, not that the Jeep cares much about the wind. I never knew they made a manual ZJ. Now that I do I really want one. The Jeep addiction is real. Looks good with the new tires! They only built about 1000 of them. '93 and '94 only. You do see them come up for sale from time to time, but yeah, it's a pretty rare occurrence. Maybe two to three times a year across the continent. This one was only about four hours away, and I jumped as soon as I saw it, within a couple hours of it going up for sale. The guy said he got a couple hundred calls about it between me and responding, I was the first who said I'd pay asking price and could be there that night with a trailer. So an interesting thing happened, as is the way with older jeeps I suppose. The piece of what I suspect is glass-reinforced nylon holding the wiper linkage broke off. I pulled the bolt, cleaned it up, and dug out the Ukrainian JB-weld equivalent I got from my Lada parts guy a while back, and used that to put it back together, using the bolt to clamp it. Not the cleanest job I know, but it's hopefully only temporary. I let it cure for a couple days before testing out the wipers, and so far it seems to be holding. So that's something else to add to the junkyard shopping list. 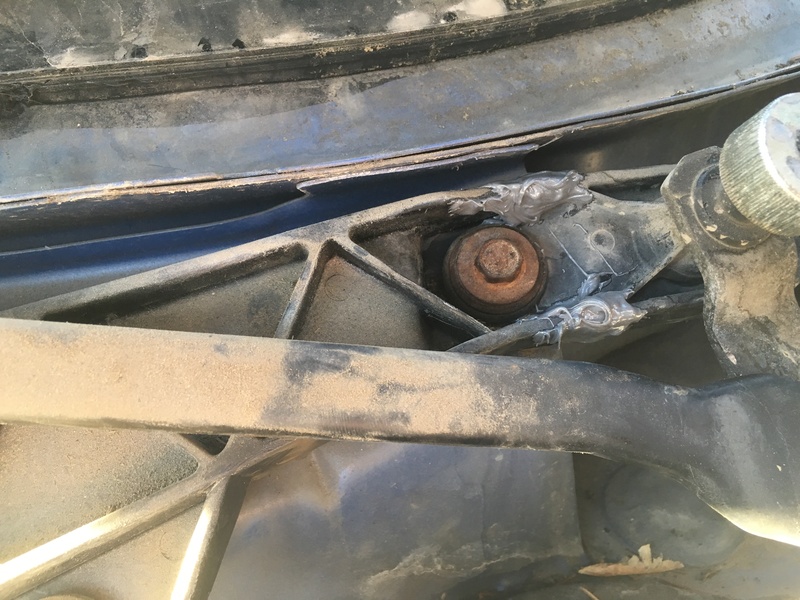 Haven't called the dealer yet but I'm finding nothing online with the Mopar part number, and I seem to be striking out on getting a new linkage anywhere else. Even rockauto doesn't have a listing. I'll see about calling Lordco tomorrow, they're usually pretty good at obscure stuff.